Varied exercises for the first 15 minutes. Rounds of the ground – 1 to 3, depending on the age group. 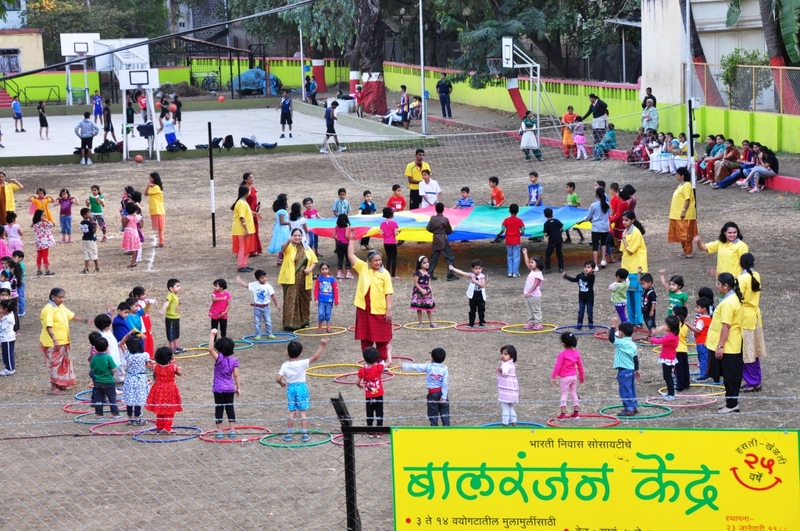 Approriate and organized games for different age groups. 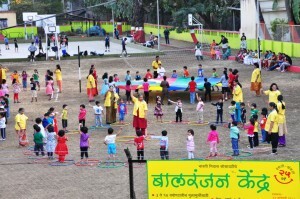 Games for the month are planned but there is flexibility according to the children’s demands. Langadi, kho-kho, chor police, kabaddi, etc. outdoor games. Indoor fun games like lost my mother’s letter, vaghoba vaghoba kiti vajale, dog and the bone, etc. We have pranayam, prayers, and shlokas after that. It is held differently for individual groups. Every two months, the shlokas and prayers change, so that children learn memorizing.